Click the button below to add the EVERLAST to your wish list. High solids, high gloss, high durability. This fast drying formula for multiple coats in minimal time. Buffs to a high shine every time. 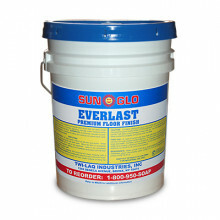 Use in programs where floors are burnished 2-3 times per week. UL classified for slip resistance.